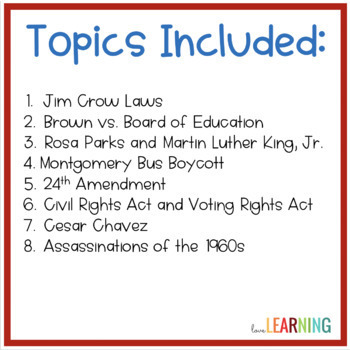 This Civil Rights Movement Lesson is the perfect addition to your social studies classroom! 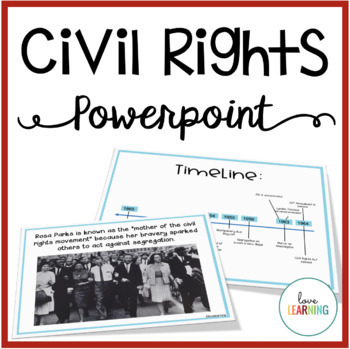 The PowerPoint Lesson is visually engaging and include many pictures, video links, and thought-provoking questions! 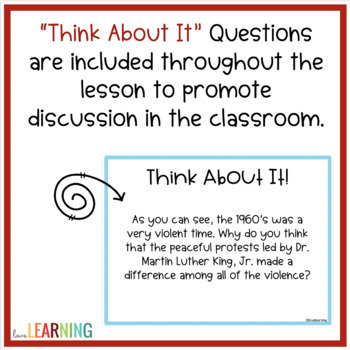 I use it to teach my fifth graders about this concept, but it is appropriate for older students as well. 6. Dr. Martin Luther King, Jr. 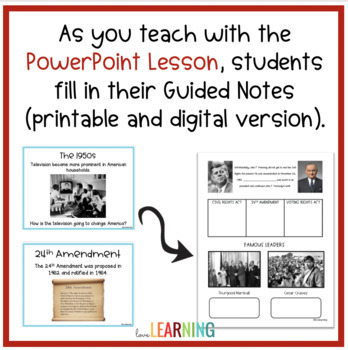 This PowerPoint includes 7 pages of guided notes that students can use to follow along while you teach. Redistributing, editing, selling, or posting this resource on the internet (including your classroom website) are strictly prohibited. Violations are subject to penalties of the Digital Millennium Copyright Act. If you would like to share this product with colleagues, please purchase the multiple user license.classroom website) are strictly prohibited. Violations are subject to penalties of the Digital Millennium Copyright Act. If you would like to share this product with colleagues, please purchase the multiple user license.